“I feel much better avoiding this challenge and taking the easy way out,” says character Joe Hobbs to his father (played by Scott Baio) in a recent episode of the Nickelodeon show See Dad Run. As usual, actor Jackson Brundage delivers the line with perfect comedic timing and the live studio audience rewards him with laughter. Although this is a new role for him, Jackson is no stranger to television. Around the age of three, he began appearing in TV commercials, something that opened up the door for him to land a role in an episode of the show Las Vegas, opposite Josh Duhamel. But it was his five seasons on the hit CW series One Tree Hill that most fans remember. His character Jamie Scott not only won his way into the hearts of viewers, but he also became close with many of the cast members as well. In 2012, One Tree Hill finally came to an end and Jackson returned to his home in Valencia, Santa Clarita, California, where he was born and raised. Later that same year, Jackson auditioned for a starring role in the Nick at Nite show See Dad Run. After callbacks, work sessions and meetings with the producers, he landed the coveted part. From left, Bailey Michelle Brown, Alanna Ubach, Scott Baio, Ryan Newman and Jackson Brundage star in “See Dad Run” on Nick at Nite. Unlike One Tree Hill, which was filmed on location in North Carolina, See Dad Run is shot in front of a live studio audience. Although the studio audience is his favorite part, it can also be a challenge when you have to recite your lines quickly in front of everyone. Luckily for him, he’s not alone up on stage. Each week he is surrounded by a talented cast of actors that includes Scott Baio (Happy Days), Alanna Ubach (Legally Blonde), Ryan Newman (Zeke and Luther), Ramy Youssef and Bailey Michelle Brown (Paranormal Activity 3). In real life, Jackson enjoys playing soccer, basketball and martial arts, and when he’s not filming he’s even had the opportunity to become friends with the cast of another Nickelodeon show, Marvin Marvin. But there’s no question, he’s having fun both in front of the camera and behind the scenes with his fellow cast mates from See Dad Run. With his growing comedic talent and martial arts moves, Jackson said he hopes to someday star in a comedy-action movie. 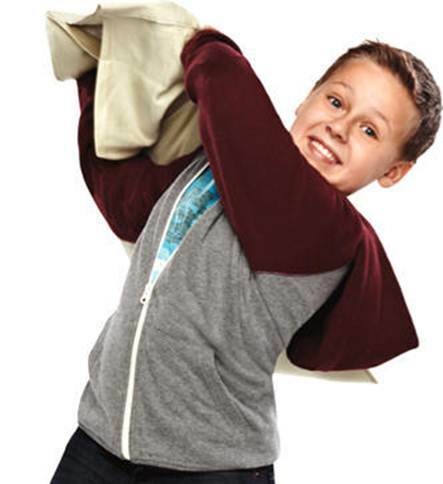 In the mean time, you can catch Jackson Brundage on See Dad Run, which airs Sundays at 8:30 p.m. (ET/PT) on Nick at Nite.